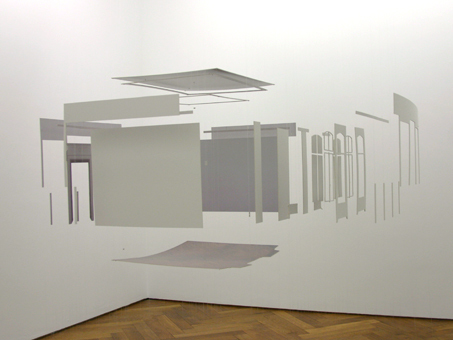 For the installation Enterraum, the artist-trio (Collectif-Fact) photographed details of the architecture. They then isolated the spatial elements and hung the individual pictorial planes one behind the other in the room. Loading, Reliefs, Bubblecars and other video installations by Collectif-Fact.